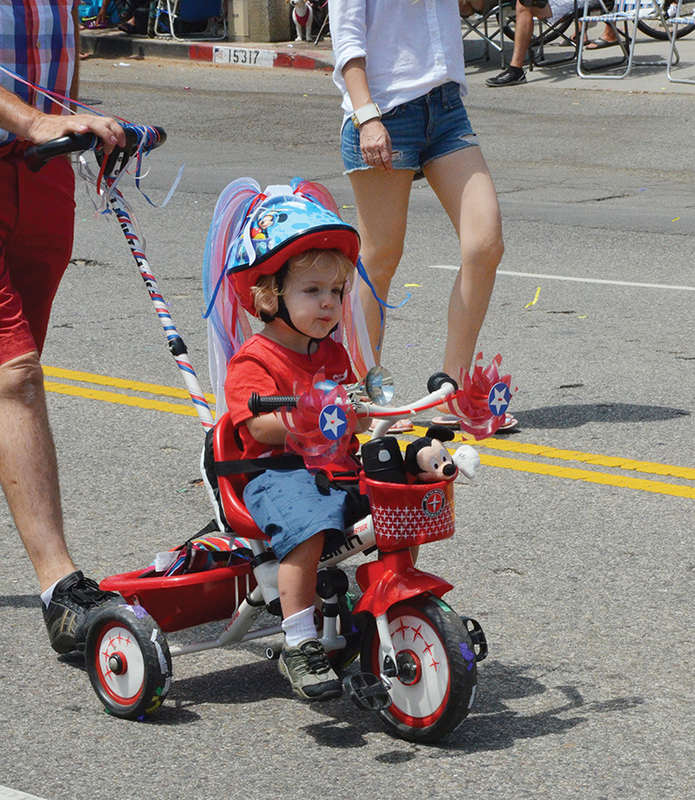 Kids, decorate your bike, Razor/scooter or tricycle in a patriotic motif for the Fourth of July parade and you could win first prize ($75), second prize ($50) or third prize ($25). The winner will also have his/her photo printed in the Palisades News. The Yogurt Shoppe at 873 Swarthmore Ave., and now also at 11726 Barrington Ct. (Brentwood), has hosted the Kids on Bikes brigade for the past five years. Kids of all ages ride in the parade. Youths who want to enter the bicycle decorating contest must come to the Yogurt Shoppe at 873 Swarthmore Ave. (across from CVS) with a fully decorated bike between 3:30 and 5:30 p.m. on Friday, July 3. Authorization forms will be handed out and a photo of each entry will be taken. Judges will scrutinize photos, and awards will be presented on July 4 as bikes are assembling for the parade. Only those who have had their photos taken on July 3 will be eligible for prizes. Everyone is welcome to ride in the parade, as long as they are wearing a helmet and have a completed authorization form, which must be picked up prior to the parade at The Yogurt Shoppe. The winners can use their gift card at either Yogurt Shoppe location. Visit: aplacetomix.com or call: (310) 459-0088.